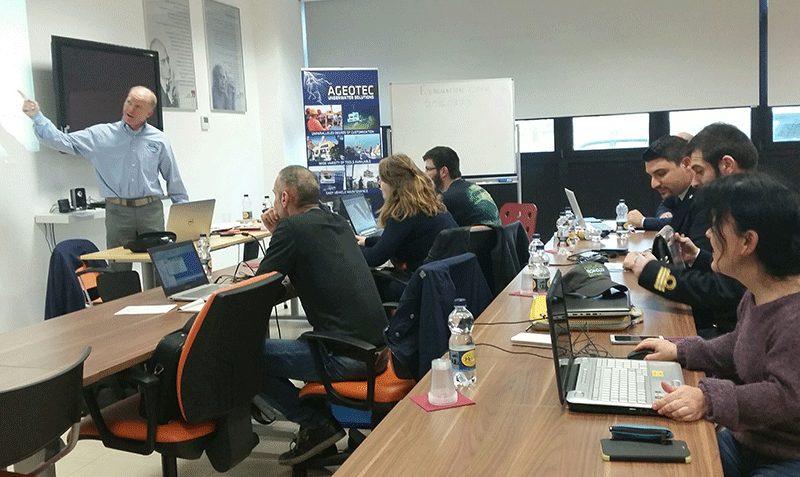 The second day of training on the software Sonarwiz is underway at Ageotec headquarter. The workshop is mainly focusing on the sidescan sonar and sub ​​bottom data processing through Sonarwiz. Particular emphasis will be given to the new tools introduced in the latest release and the processing of data in order to generate high-quality sonar mosaics. The Chesapeake’s seafloor mapping software allows surveyors to detect small targets via improved across track resolution; identify differences between old and new surveys through the SonarWiz transparency, swipe, or line shift tools; preserve the full fidelity of sonar data across multiple formats: it allows for recording in industry standard XTF or vendor-specific formats such as Edgetech JSF or GeoAcostics GCF. Moreover, Sonarwiz simplify mission execution through the use of a single, easy-to-learn mapping solution; create superior contact reports thanks to improved editing features and allows to easily export data to a variety of formats (including PDF, OpenOffice, Microsoft Word, and HTML).  Sonarwiz optimize time on the water through the use of sophisticated planning tools and reduce costs by leveraging real-time data acquisition to confirm quality and coverage prior to leaving coverage area. Through this initiative, Ageotec and Chesapeake consolidate their long standing partnership and underline once more the importance of trainings and informational events.